Piping & Mechanical Erection Works of a Compressor Station at Kipoi, Greece for TAP Project. 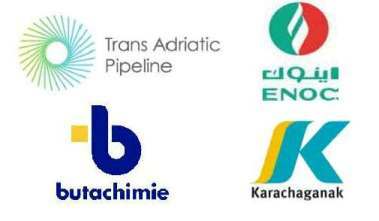 Supply of Pressure Vessels & Heat Exchanges for Glycol Regeneration Units for Karachaganak Petroleum, Kazakhstan. Supply of Clad & Carbon Steel Vessels for Jebel Ali Refinery, Emirates National Oil Company (ENOC). Supply of Critical Drums and CS & SS Drums for ATLAS Project of Butachimie, Chalampe, France.